This is the python create file tutorial. And as a developer who is using this programming language, if you wish to write to an already existing python write to file then you can do that by using the either of the two parameters of the open ( ) function. The two parameters of this particular function are mentioned below. “a” : This parameter stands for append and will help you in appending to the end of the file of your choice. “w” : This parameter stands for write and will help you in writing over any file that might already exist. This will help you in accomplishing the python write to file task. If you want to have another example for the overwrite parameter of the open ( ) function or the python create file path then that is mentioned below. You should always remember that the ‘w’ parameter of the above-mentioned function or the Python create file path will overwrite the entire file. So, you should only use this parameter in instances where you are sure that you will not be requiring the content ever again. As we have mentioned before, that if you wish to create or open a new file or if you wish to perform the function of python create file and write while using this programming language then you can do that by using the open ( ) method. There are three different parameters of this particular method or function. And those parameters of this function or method are mentioned below. “x” : This ‘x’ here stands for create and with the help of this parameter you can create an entirely new file. However, if the file that you are trying to create already exists then it will show an error. This will help you in accomplishing the python create file and write task. “a” : The ‘a’ here stands for append and with the help of this parameter you can open a file and if that file does not exists then using this parameter will help you in creating that file. “w” : The ‘w’ here stands for write and with the help of this parameter you can also create a new file. And if that file does not exist then using this parameter will help you in creating that file. The result of the above-mentioned example would be you getting a brand new file. 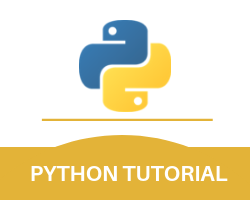 With this, we end the Python create file part of our entire Python tutorial.